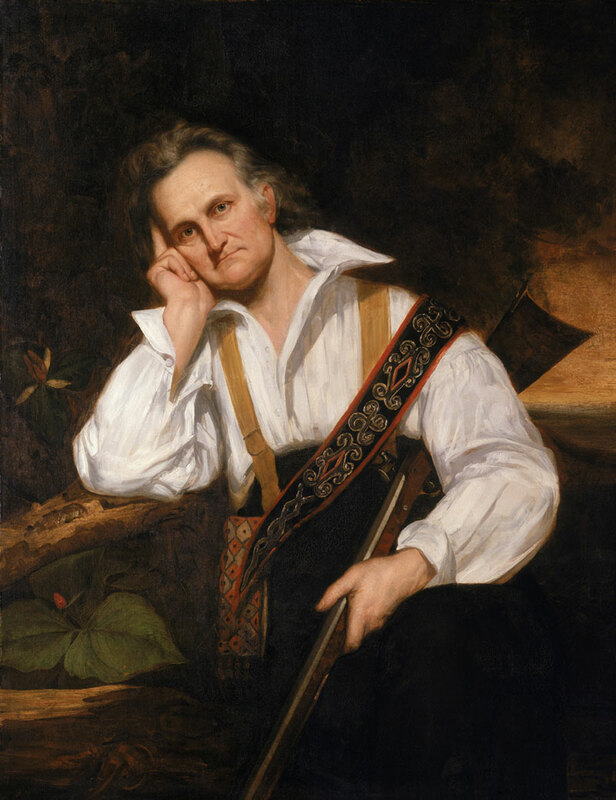 AUDUBON was traveling in the woods inMissis­sippi. He found the little cabin of a settler. He stayed there for the night. The settler told him that there was a panther in the swamp near his house. A panther is a very large and fierce ani­mal. It is large enough to kill a man. This was a very bad panther. It had killed some of the settler’s dogs. So the settler sent out for his neighbors to come and help kill the panther. Five men came. Au­dubon and the settler made seven. They were all on horseback. When they came to the edge of the swamp, each man went a different way. They each took their dogs with them to find the track of the wild beast All of the hunters carried horns. Whoever should find the track first was to blow his horn to let the others know. In about two hours after they had started, they heard the sound of a horn. It told them that the track had been found. Every man now went toward the sound of the horn. Soon all the yelping dogs were following the track of the fierce panther. The panther was running into the swamp farther and farther. I suppose that the panther thought that there were too many dogs and men for him to fight. All the hunters came after the dogs. They held their guns ready to shoot if the panther should make up his mind to fight them.After a while the sound of the dogs’ voices changed. The hunters knew from this that the panther had stopped running, and gone up into a tree. At last the men came to the place where the dogs were. They were all barking round a tree. Far up in the tree was the dangerous beast. The hunters came up carefully. One of them fired. The bullet hit the panther, but did not kill him. The panther sprang to the ground, and ran off again. The dogs ran after. The men got on their horses, and rode after. But the horses were tired, and the men had to get down, and follow the dogs on foot. The hunters now had to wade through little ponds of water. Sometimes they had to climb over fallen trees. Their clothes were badly torn by the bushes. After two hours more, they came to a place where the panther had again gone up into a tree. This time three of the hunters shot at him. The fierce panther came tumbling to the ground. But he was still able to fight. The men fought the savage beast on all sides. At last they killed him. Then they gave his skin to the settler. They wanted him to know that his enemy was dead.